The May Meeting will be on Friday May 20, and feature member John Buethner demonstrating the making of pens barrels, sections and caps from raw materials. John will bring samples of his work to show and will make custom pens on order with nib of your choice. We will meet at 6:30 pm at our usual location at the Presbyterian Homes. See you there! 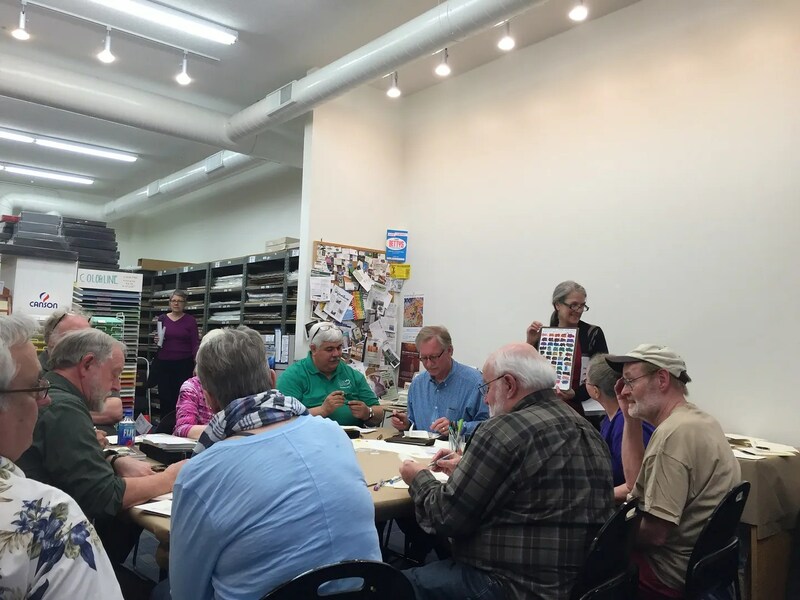 The April meeting was held at Wet Paint in St. Paul with 17 pen club attendees and 7 guests. Francis presented a brief history of the P.E.N.S. organization, membership and various educational aspects of the Pen Club to the store guest attending. Virginia McBride from Wet Paint brought out 8 different types of paper products for our expert testers write on & elicit comments. Participants gave grades of 1-5 with 5 the highest satisfaction with the papers provided. Papers tested: were 3 different weight & finish of Strathmore papers made in the US , Tomoe paper from Japan, Rodea-R paper from France, ClairFountain Clay-coated paper from France, Hahnemuhle paper from Germany, Zerkall paper from Germany. Testers gave Tomoe paper the highest grade in satisfaction. Hahnemuhle & Zerkall papers were tied for second place. * Frank Crescioni, Mike Carter, Brian Holstine and I attended the Chicago Pen Show April 28th thru May 1st. I will write a brief report of the Show. * Good news; we now have 20 new paid club members for 2016!